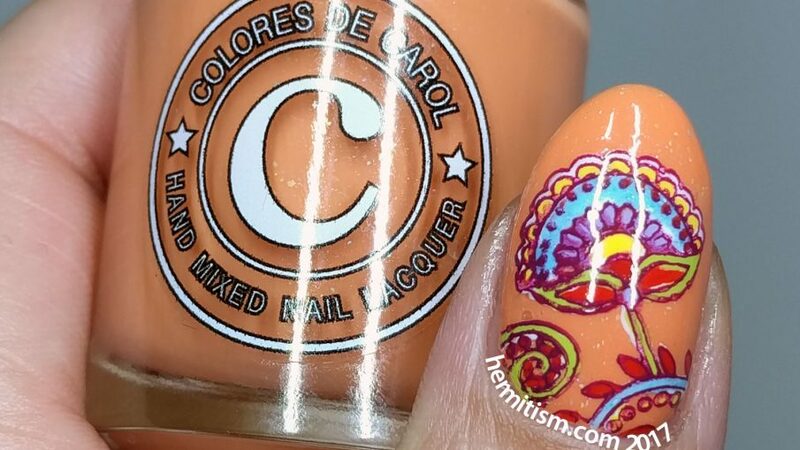 The Hippie/Boho styles of nail art are so pretty but somehow they are just not the first looks I go for. It was really funny to explore the wonderful combinations of color and pattern in these style movements. My Shotbox arrived yesterday. I decided to do a side by side comparison of a photo with the Shotbox at full light (including the light on the sideshot panel) and a photo in daylight. However, it was cloudy out today. I will probably do another comparison later on and also take my Shotbox photos at different levels of light since max light washed out the colors somewhat. With no editing beyond sticking the two photos together, I prefer the results from a cloudy day. But with some Photoshop thrown at it, the Shotbox did okay for being used the first time. And it’s a lot easier to take my photos if I don’t have to hold my phone in the other hand. 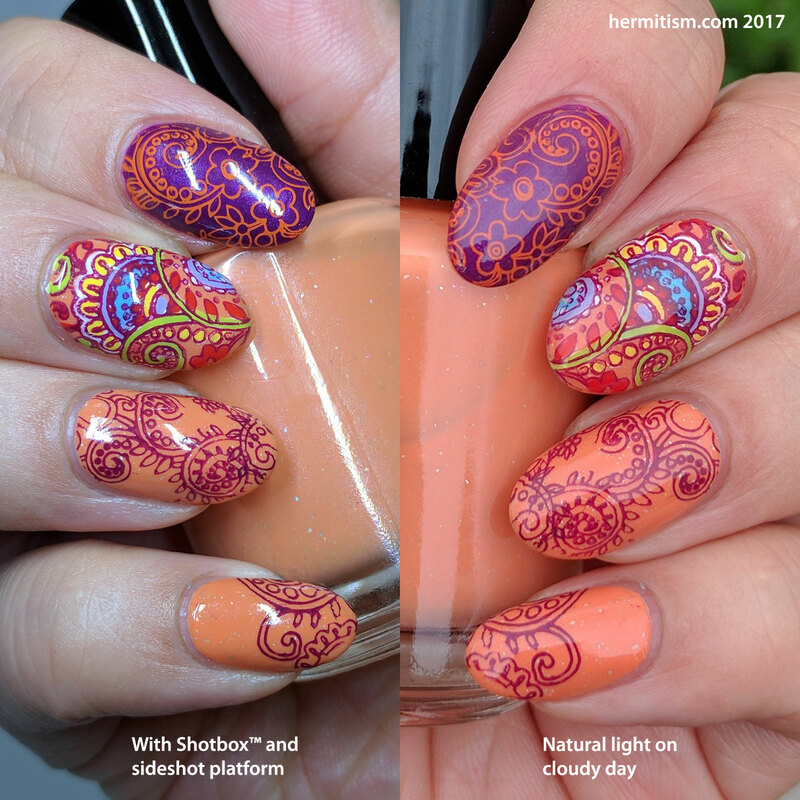 I love the bright colors you chose for this mani! 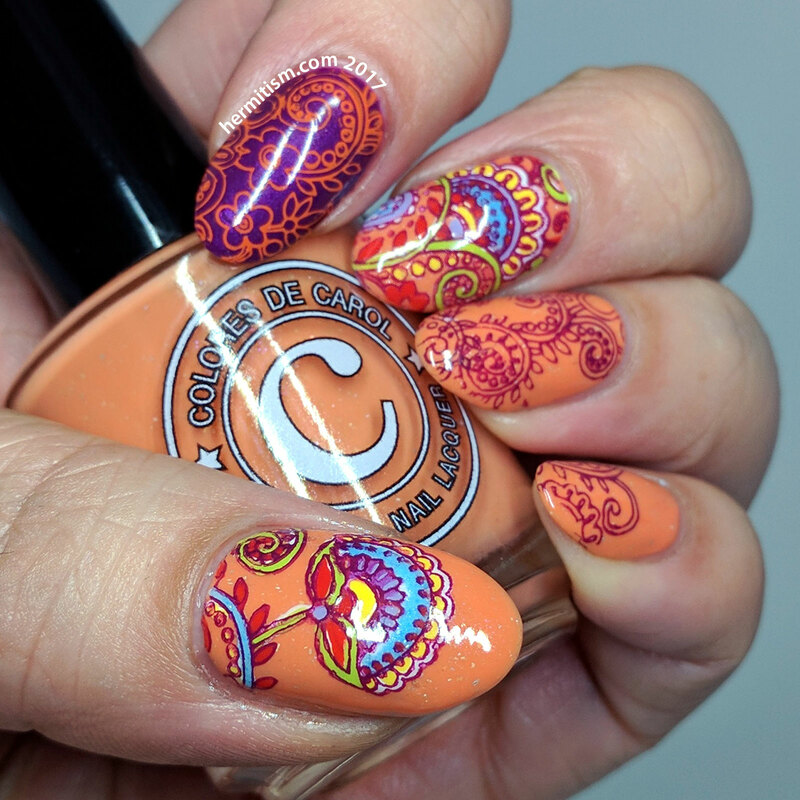 So fun and vibrant! I have been playing around with light boxes lately, too, trying to find the secret to perfect photography, lol. I was a bit disappointment with the light box I bought off of Amazon- it always seems like natural light is just more flattering. I ended up building one that I can use outside to just diffuse the natural light a little. I’m still on the fence about how I like my pictures best, however. Photography can be so frustrating!